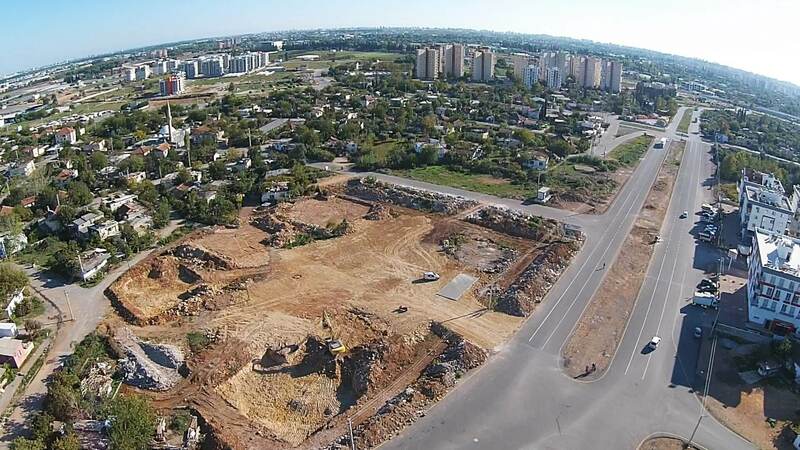 In the region that is recently increasing in value with its proximity to the city center, it is possible to reach Antalya Airport in a short time through the newly opened Altınova road and Kepez State Hospital, which was completed in 2016, is just a 5-minute away. 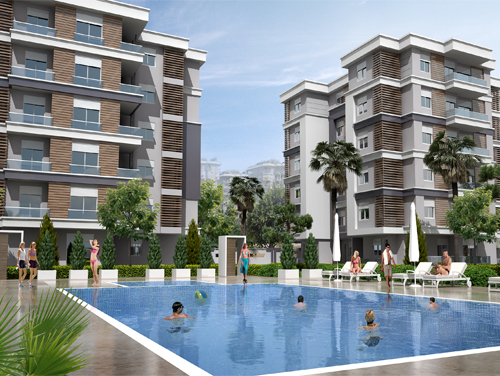 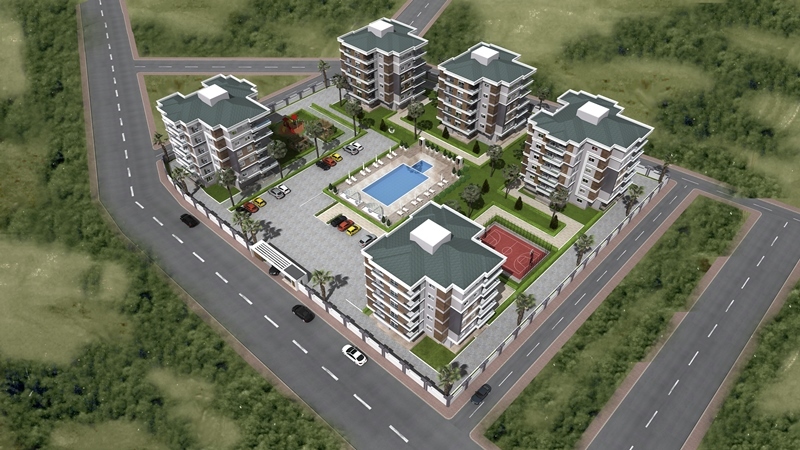 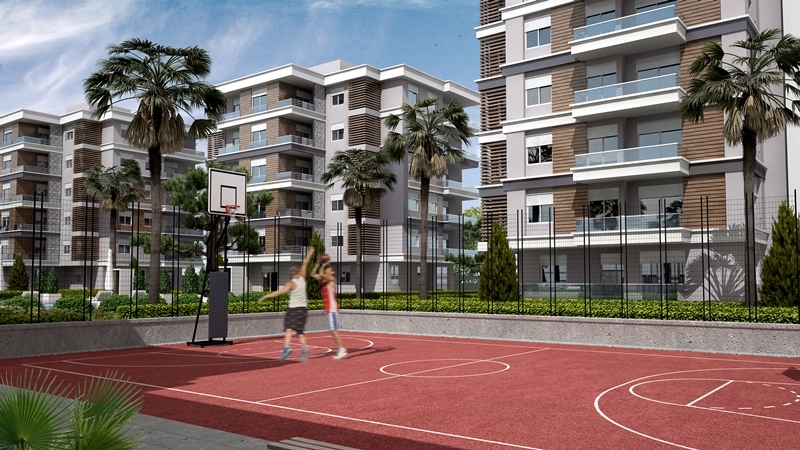 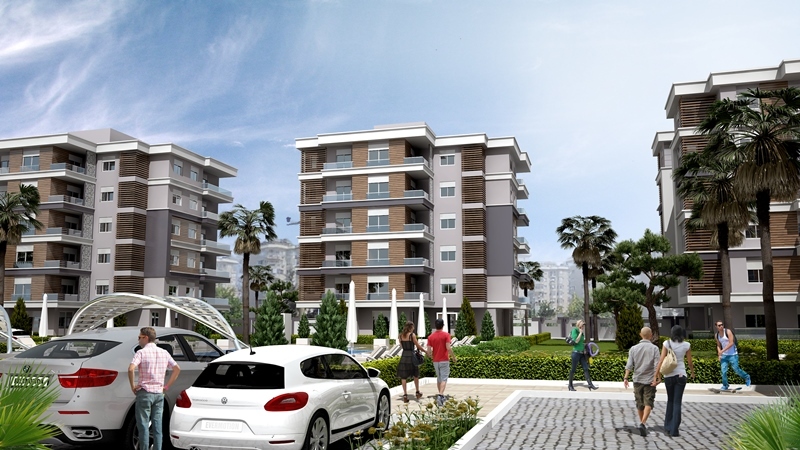 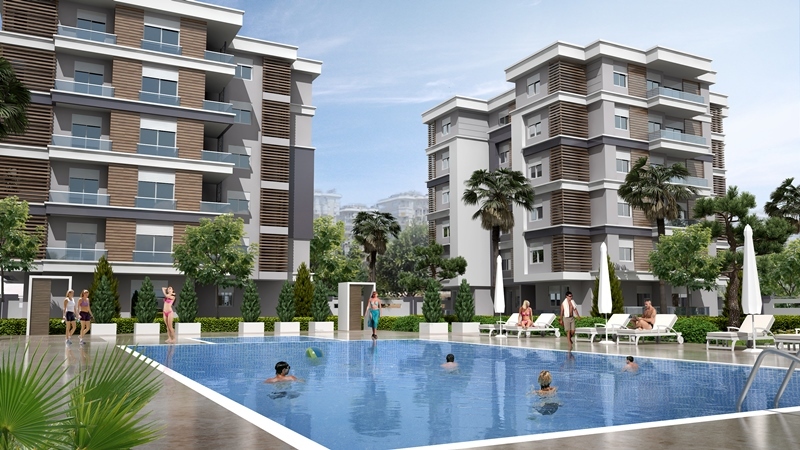 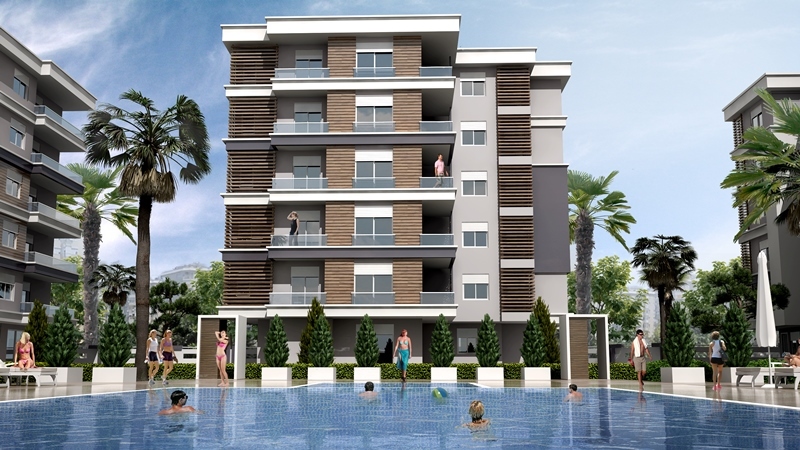 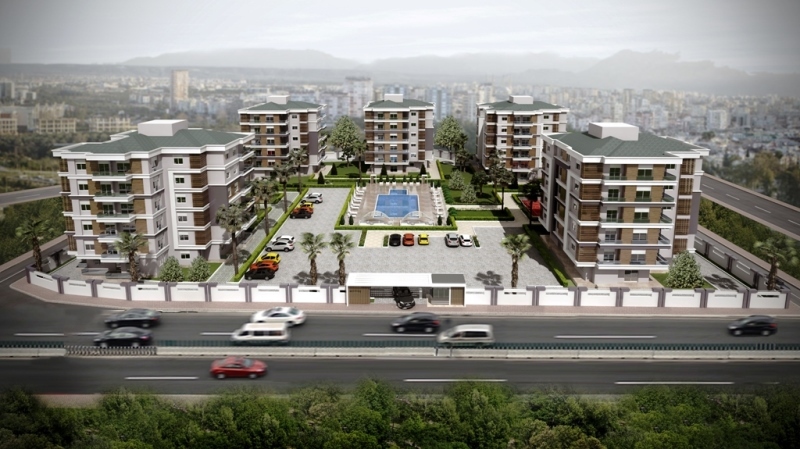 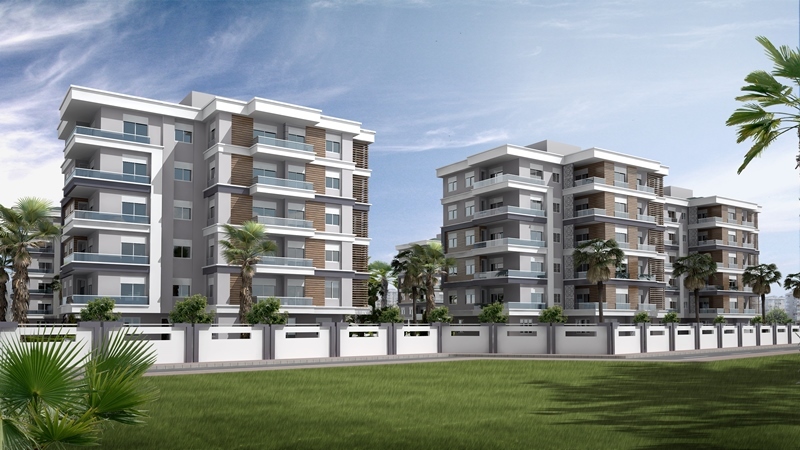 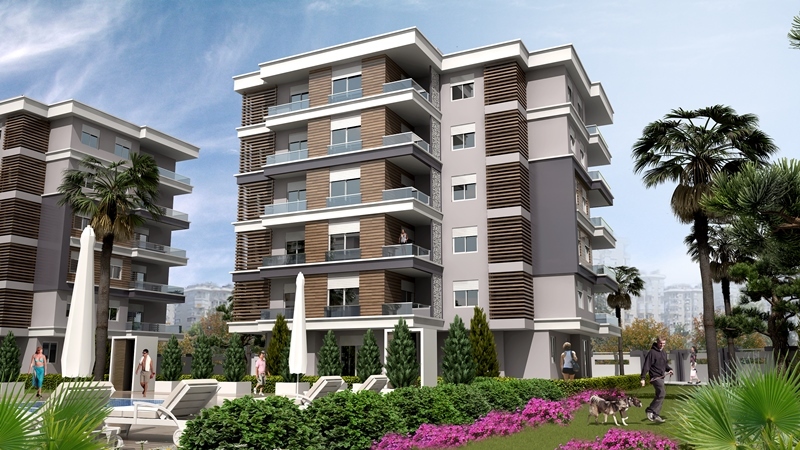 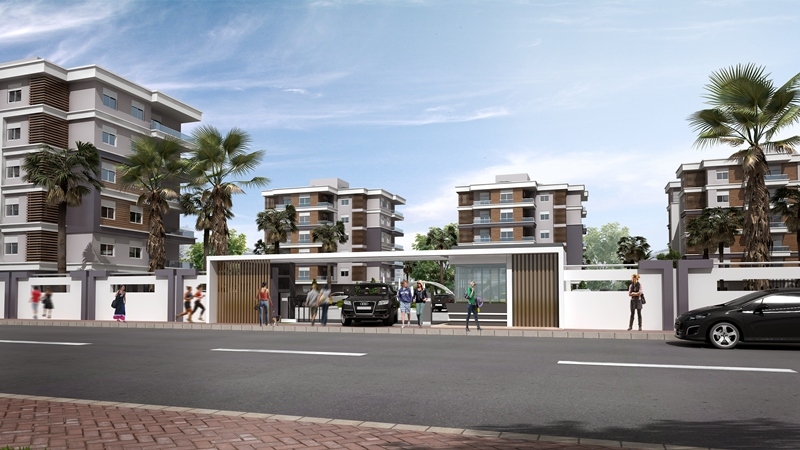 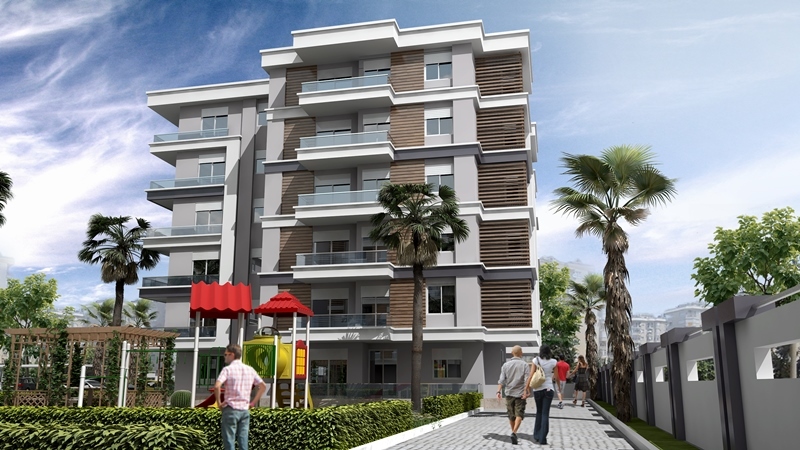 This compound is located in Göksu, which is the fastest growing region in Antalya, has been completed and established on a total area of 9,145 sqm, which consists of 5 blocks in total, and of 89 apartments and 1 concierge room. 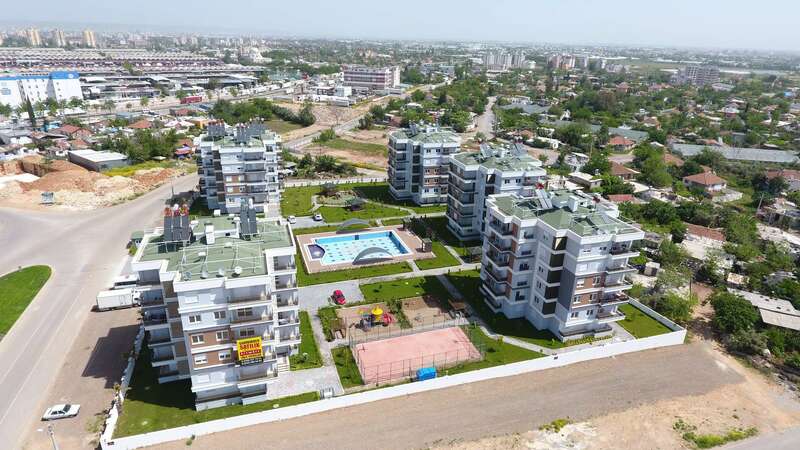 There are many options available in different living spaces with two bedrooms flats on the entrance floors as well as three bedrooms and 2+1 apartments on the top floors. 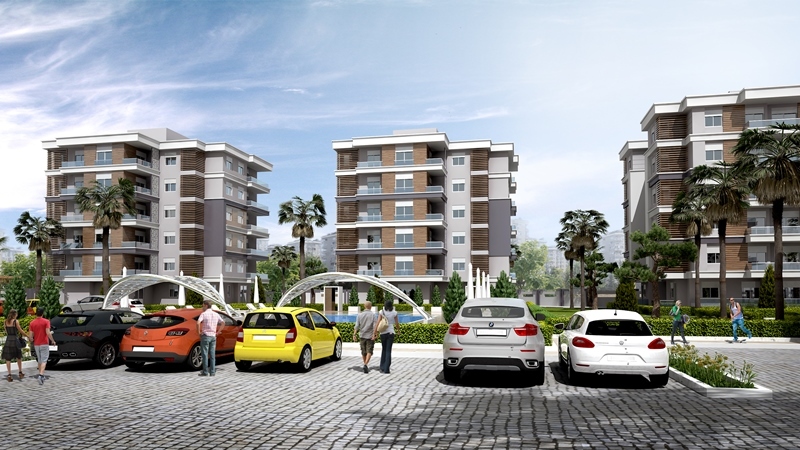 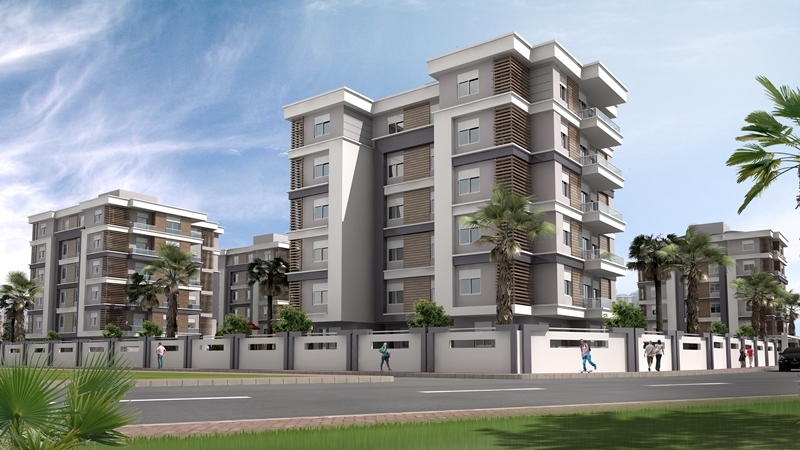 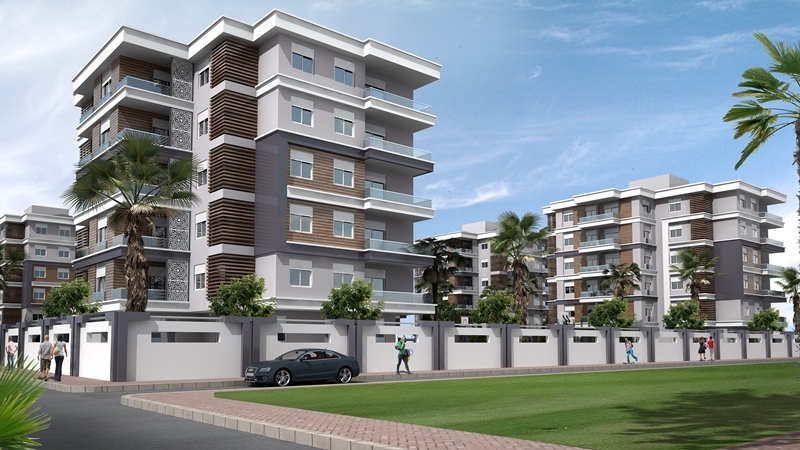 The apartments provide quality life as it designed with high standards featuring Solar power generators, earthquake reinforced structure, heat, water and sound insulation, security video diaphone system, elevator, Wireless internet infrastructure and emergency generator for common areas. 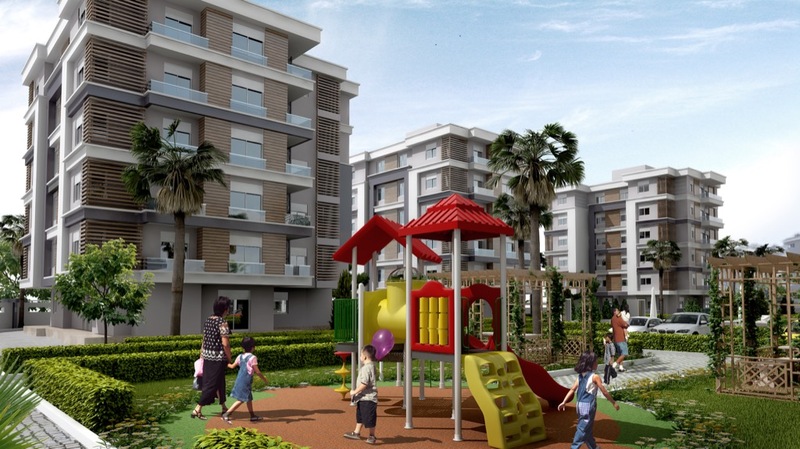 The project has 8,000 sqm dedicated for social area, you will have multiple sports fields, family seating areas, children playground and many more.